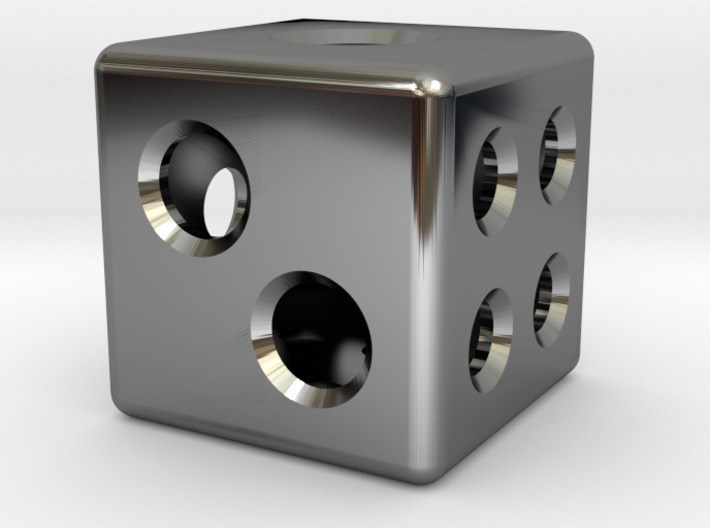 This is a simple hollow un-balanced (loaded) D6. 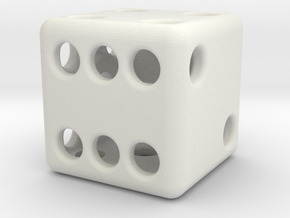 Similar to https://www.shapeways.com/product/UJ36TU8E3/balanced-hollow-dice-d6-1-5cm-method-2​ but with the center of gravity slightly favoring the side with one pip. Unlike dice loaded with lead shot or some other heavy element, the effect should be rather subtle. I haven't tested these yet to determine just how subtle.